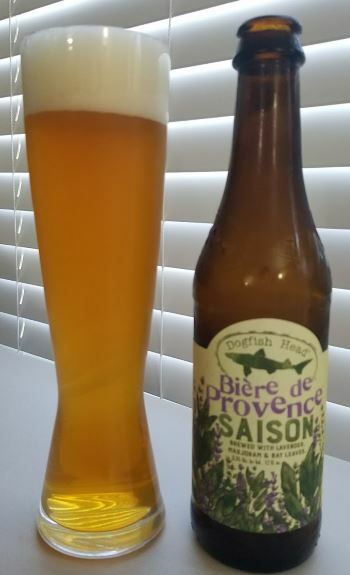 So it’s November, and Bière de Provence is a summer saison. Sue me. I try every Dogfish Head beer I can find, and this is when I happened to find this one, and I won’t pass up the opportunity to try it, whatever the season. This is a Belgian Saison, and the tagline is that it is brewed with lavender, marjoram, and bay leaves. The lavender is immediately apparent in the nose, which is predominately floral with a bit of fruity Belgian yeast adding some banana esters. The middle explodes with pepper, herbal notes and sweet malty undertones. The finish is yeasty, fruity and mellow. The body is medium and the for a summer saison the alcohol is a beastly 8.3% ABV, A delicious beer and a fine saison that I wish I’d discovered earlier. This entry was posted in Reviews and tagged Ale, Belgian Ale, Belgian Saison, Delaware, Dogfish Head, Saison, Seasonal, Summer, Summer Beer on November 18, 2016 by Xander. 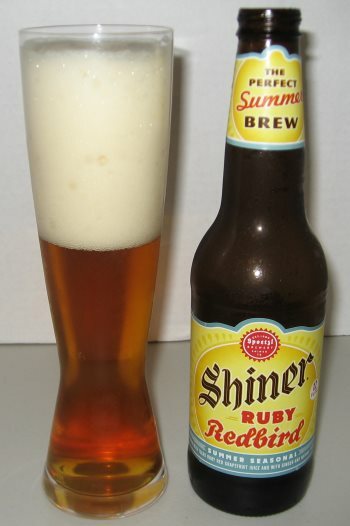 My favorite beer that the reviewers love to hate, Shiner Ruby Redbird by the Spoetzl Brewery of Shiner, Texas, while a beer of only modest acclaim by the authorities one might fine on the Internet, is also one of the few brews to make it onto my Five Best Beers for Summer list recently. 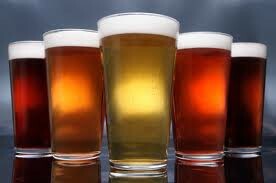 To me, this beer is light, well-carbonated, and loaded with tangy citrus which makes it just about a perfect liquid refreshment for a hot summer afternoon. The scent is bready, and there is a bit of spice, and the middle is all grapefruit. There’s some ginger, which shows up a bit in the finish along with some toasty malt and a bit of bitter grapefruit rind, and just a little astringency. It may not win any awards, but it’s one that I’ll reach for without any hesitation, summer after summer. 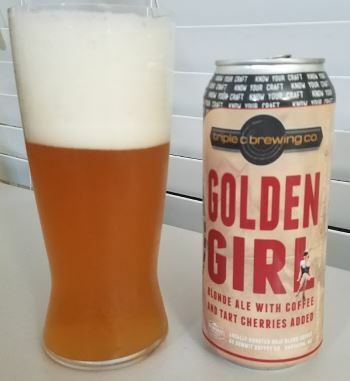 This entry was posted in Reviews and tagged Fruit Beer, Lager, Seasonal, Shiner, Summer Beer, Texas on July 16, 2013 by Xander.